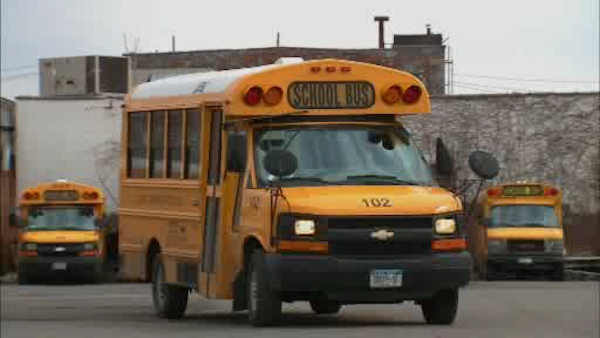 NEW YORK (WABC) -- A backup plan is in place in New York City if school bus drivers go on strike this week. Union drivers at two companies voted to authorize a strike that could start as early as Tuesday. If the drivers walk off the job, parents could choose either free Metro Cards or reimbursement for car travel, including taxis or car services, according to the Department of Education. Mayor de Blasio says the city is working with the bus companies and the union as they negotiate. A spokesman for the Teamsters union says 85 percent of its members at Jofaz Transportation and Y&M Transit voted in favor of a strike at a meeting Wednesday night. The union says sticking points were increased healthcare costs and reduced holidays. The two school bus companies share the same owner and union contract and run about 600 routes in Brooklyn, Queens and Staten Island. The strike would involve about 900 workers and thousands of students. The mayor said that contingency plans will also address the needs of the special needs children.